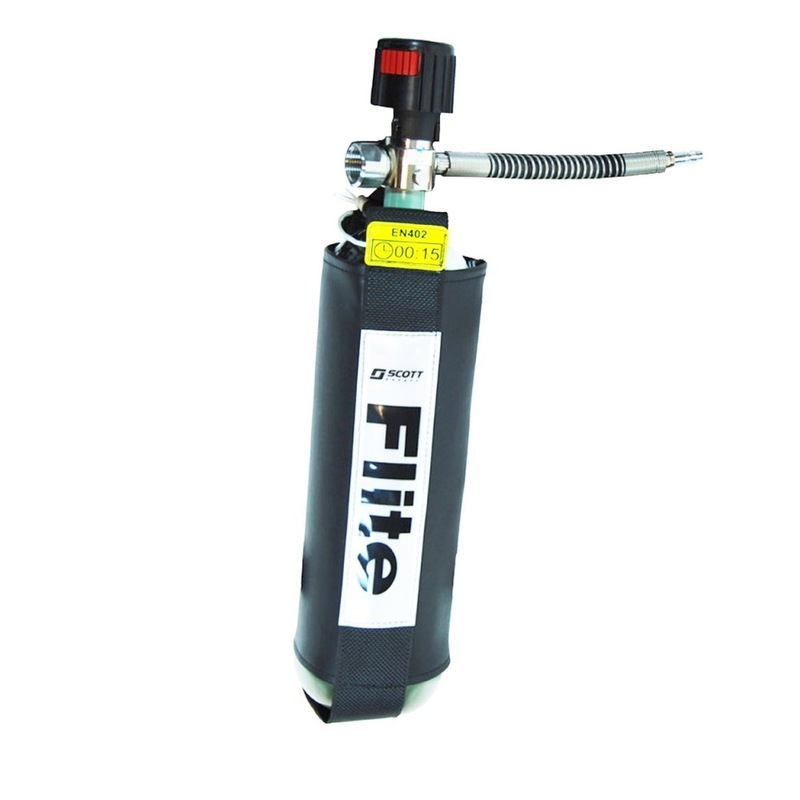 A superlight optional hip mounted emergency escape cylinder for use with the Flite Airline Breathing Apparatus which serves as an important additional safety benefit to safeguard against a failure of the airline supply. This 2 litre, 300 bar carbon fibre composite cylinder comes complete with a locking handwheel and regulator and offers not only a 15 minute escape time but also a greatly decreased payload to the wearer. The unit comes with a pouch and connection hose to the apparatus. Flite Escape is widely used by people working in confined spaces or hazardous environments.